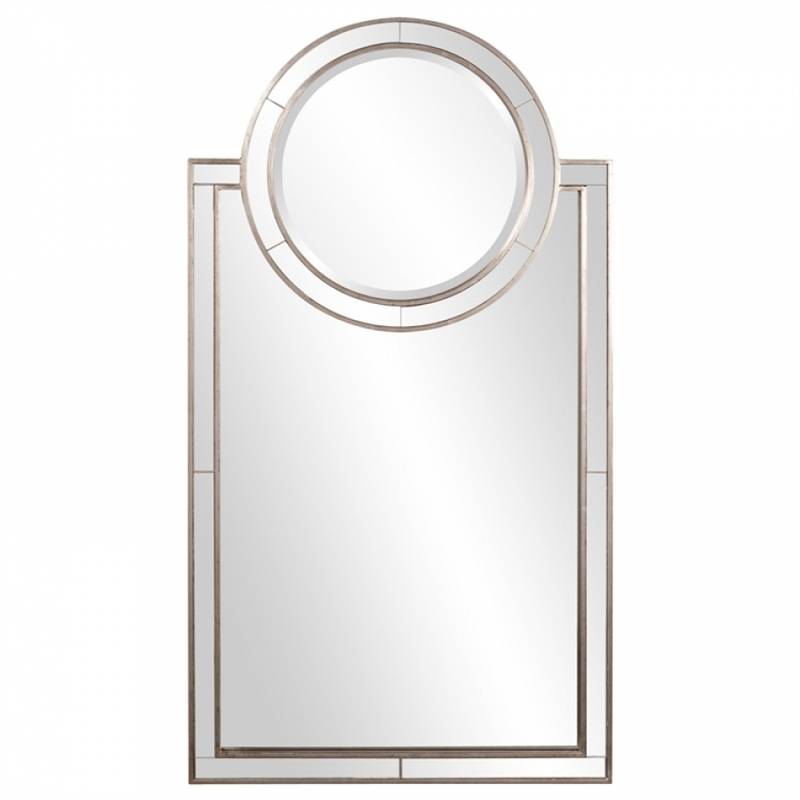 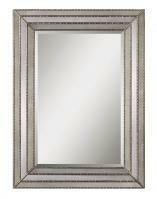 The classic rectangular shape of this mirror is accented with a round mirror that sits right in the center of the top of the frame. Each part of the frame is created with mirrored glass that enhances the reflective surface it surrounds. 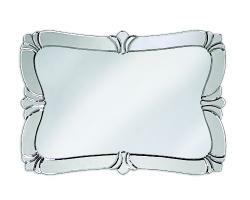 This mirror is not only decorative it is also very practical.